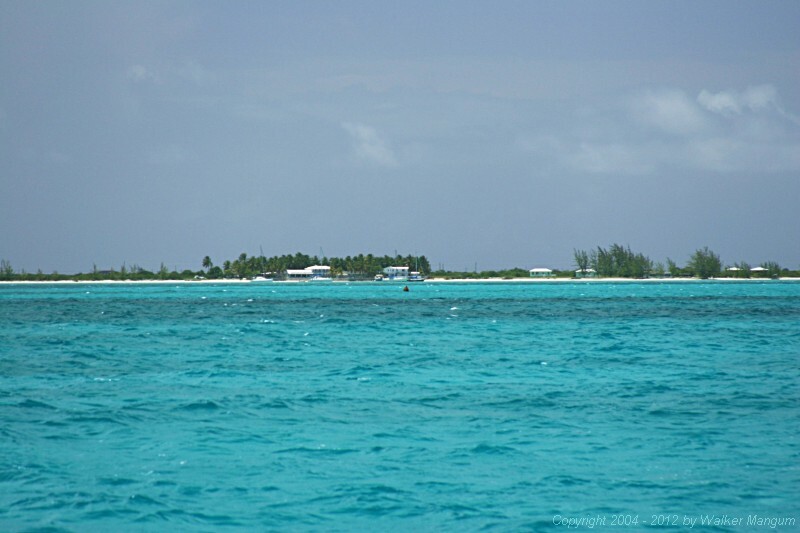 Anegada from one half mile out through a telephoto lens. It is what you would see with a good pair of binoculars. The red entrance buoy is clearly visible below Neptune's Treasure, just below the beach.